St. Petersburg - a city-hero, also known as the cultural capital of our country, it is a Russian "Venice". All those who have ever been here, will certainly want to come back here again. And everyone said that you definetly must Visit St Petersburg! A well-known feature that attracts many tourists every year are the White Nights in St Petersburg. You can catch them at the end of May to mid-July. During this time, the sun sets only for 1-2 hours, and it is constantly light outside that's why visiting St Petersburg worth it! 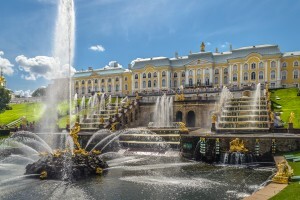 Also, a huge and beautiful parks and magnificent arhitecture can be found in the suburbs of St. Petersburg, such as Peterhof, Tsarskoye Selo, Gatchina and others. Being the second capital of Russia, St. Petersburg has always attracted visitors all around the world by the incredible number of historical monuments, grace and beauty of buildings, monuments of grandeur. Visit St Petersburg and take a look! 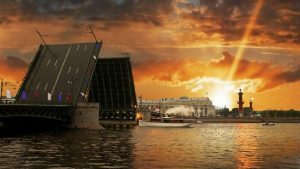 Ultimate St Petersburg Tour covers all main sightseeing in Saint Petersburg plus visiting of the city-fortress of Kronstadt, Kotlin island, the medieval city of Vyborg, excursion to Tsarskoye Selo and Pavlovsk. IIf you chose this tour you will not only visit St Petersburg but also visit beautiful cities located near the St Petersburg. 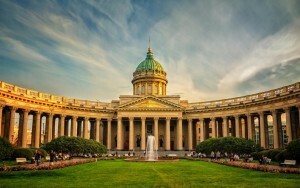 This tour starts from St. Petersburg and perfectly complements your stay in St. Petersburg. 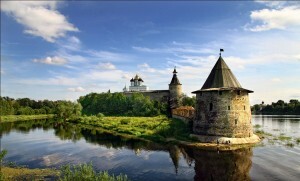 For 3 days you will visit several of the most ancient cities of Russia and get in touch with great history of the Russia. This tour is one of the best classic St. Petersburg tours. In 5 days you will get in touch with main sightseengs, visit Hermitage museum and see Peterhof. Visit St Petersburg and feel a spirit of imperial Russia!